Defending champion of the Oceania 7s Fiji Airways Men’s National 7s team, has been pooled with Papua New Guinea and Solomon Islands for this year’s tournament. Pool B has last year’s runners up, New Zealand, New Caledonia and Nauru. Pool C has Australia, Cook Islands and Vanuatu while Samoa is in Pool D with Tonga, Tuvalu and Niue. There will be 13 Men’s teams while 8 Women’s teams in this years competition. 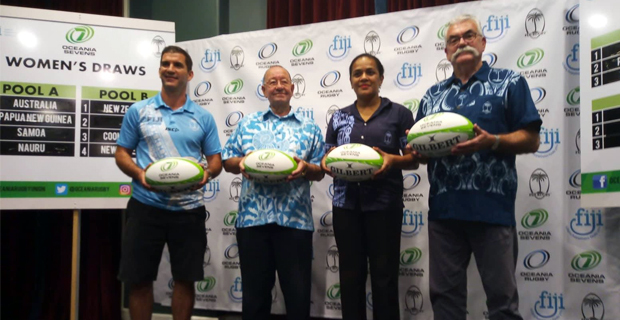 Meanwhile General Manager for Oceania Rugby and the Oceania Manager for World Rugby, Wayne Schuster says the fact that we have Olympics, Commonwealth and World Cup Gold medalists in the Oceania 7s Tournament makes this one of the best regional tournaments in the world. Schuster adds that this would be an exciting tournament. The tournament will kick off on the 9th of November at the ANZ Stadium.